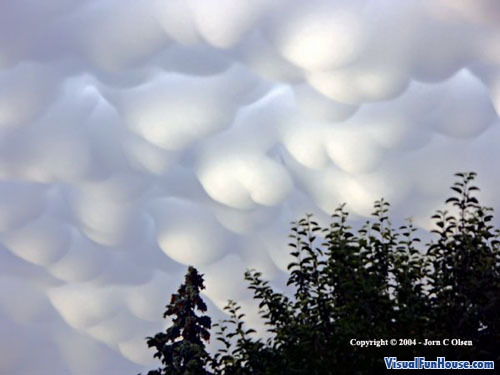 The Mammatus Clouds Optical Illusion isnt so much an optical illusion but its is a very rare site to see. 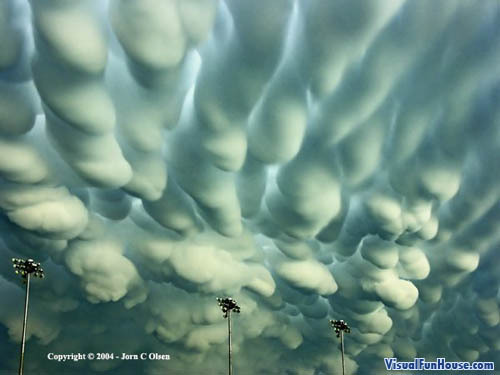 These photos were taken by Joran Olsen of Hastings, Nebraska. He took them in Hartwell park in his home tow. 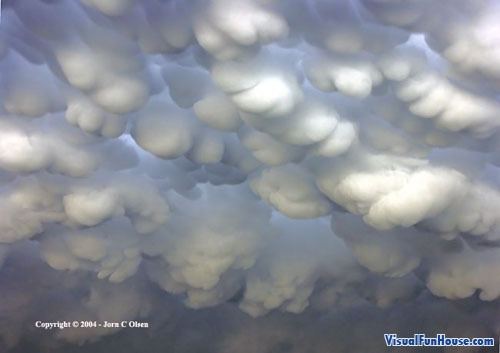 Mammatus Clouds are formed when air is over saturated with water droplets that begin to freeze or cool then sink. Around the clouds lies sharp gradients in temperature, moisture and wind momentum, that combined to strongly influence the clouds formations. They are very rare to see but defiantly a beautiful site. 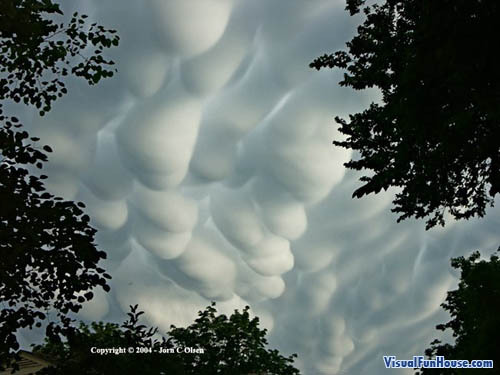 Mammatus Clouds are formed when air is oversaturated with water droplets that begin to cool or even freeze, and then sink. Around the clouds lie sharp gradients in temperature, moisture and wind momentum, which combine to strongly influence the cloud formations. They are very rare, but definitely a beautiful sight. 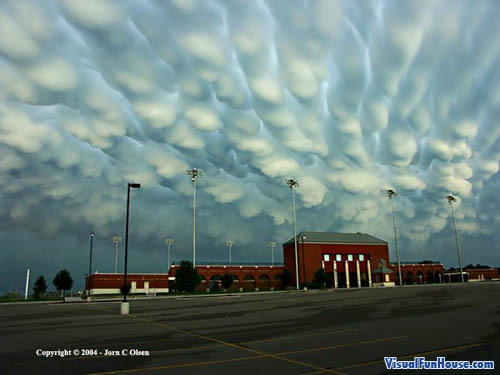 Hastings sure caught them at the perfect time, I would love to see them in person, its an incredible site to see! Those clouds are so cool! They look cartoony!